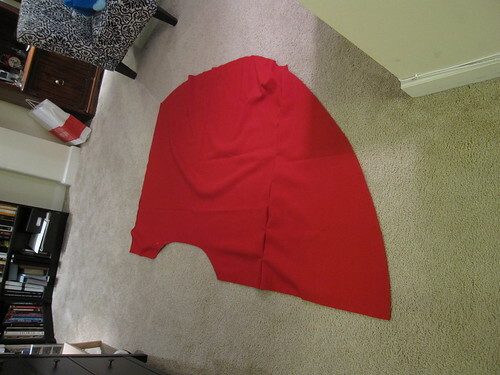 I actually finished this a couple weeks ago (I was slow in putting on a hook and eye, but that finally got done). 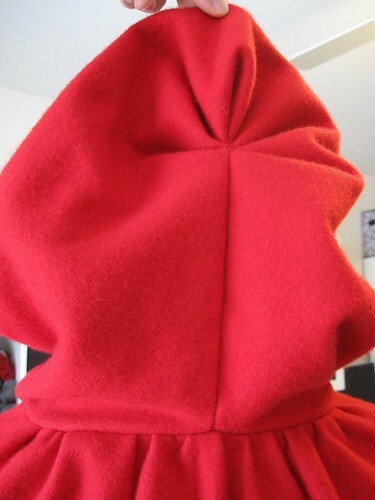 I used the pattern in Costume Close-Up with basically no modification, except that I did not have to piece the hood. 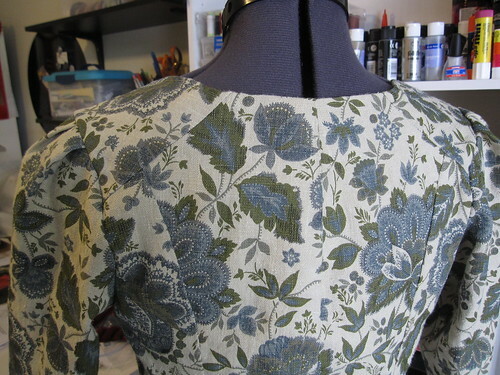 The fabric is wool melton/broadcloth from Burnley and Trowbridge. 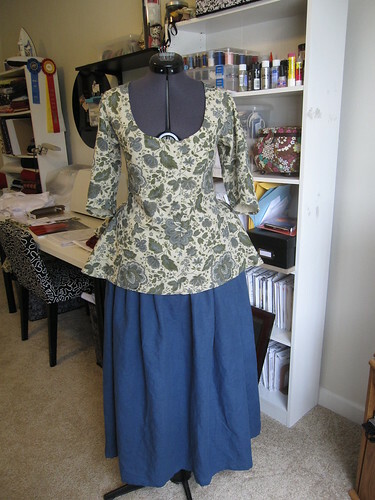 Finished this project last week. 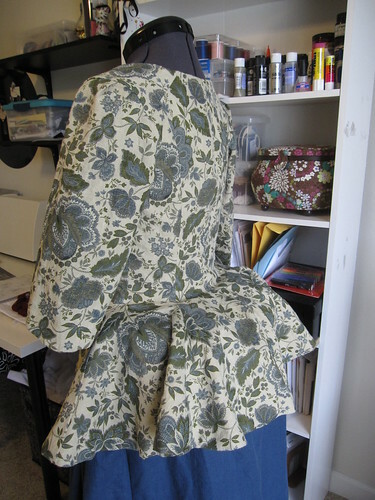 It’s a jacket made out of a printed linen and a petticoat made out of a blue coordinating linen/cotton blend. 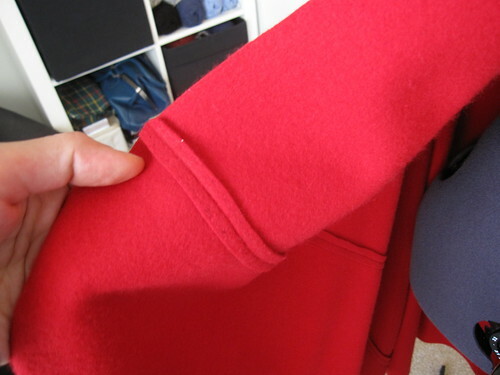 I used the JP Ryan 18th C jackets pattern, which required little modification to fit. 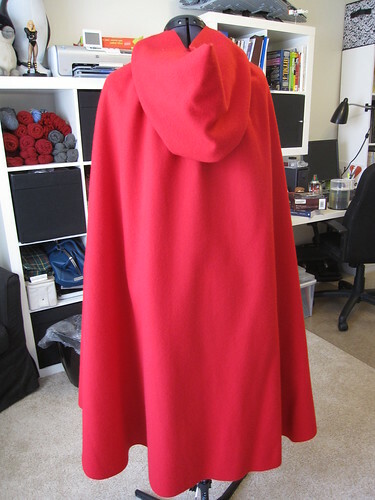 After finishing that, I cut out a red wool cloak. 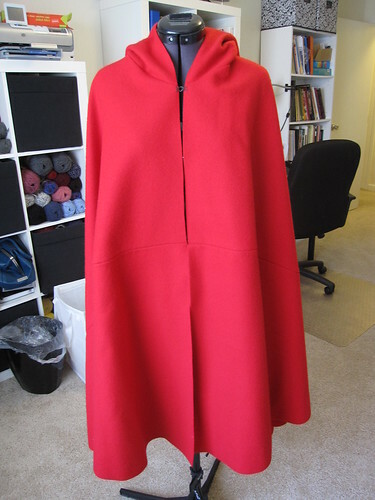 I figure now that I’m going to more 18th C events, I better have some outerwear for the cold months.